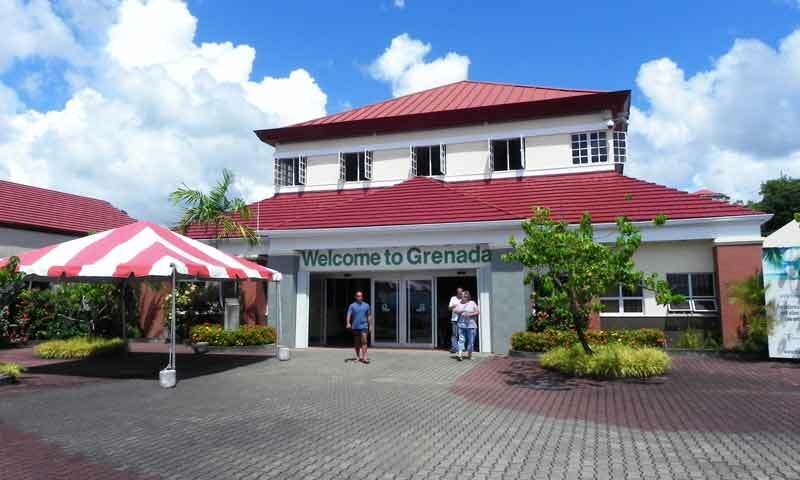 Grenada and its cruise port in St. George's (the capital of this small island) is one of the most off the beaten track cruise destinations in both the South and Eastern Caribbean itineraries. Because of this and its natural beauty, this cruise port has a unique allure. Cruise ships dock in Grenada in a long pier perpendicular to the coast where two large ships or three smaller ones can moor. 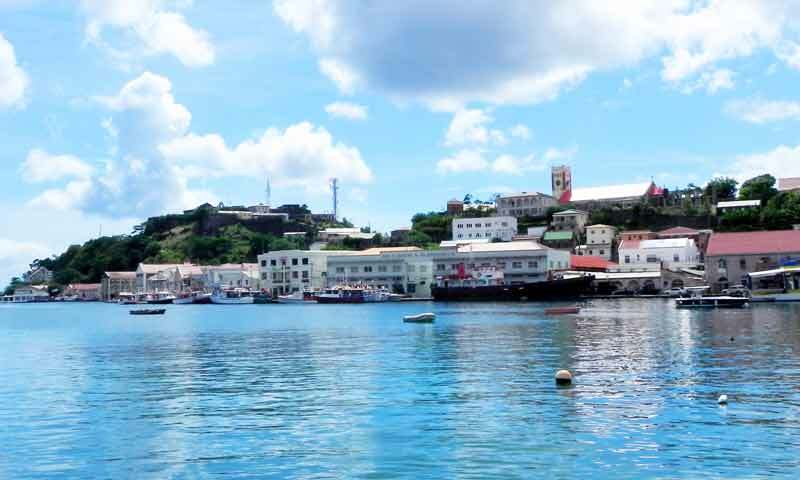 The pier is next to the downtown of St George (the capital of Grenada). At the end of this relatively new pier, the cruise traveler will enter the Melville Street Cruise Terminal where many services and amenities can be found. 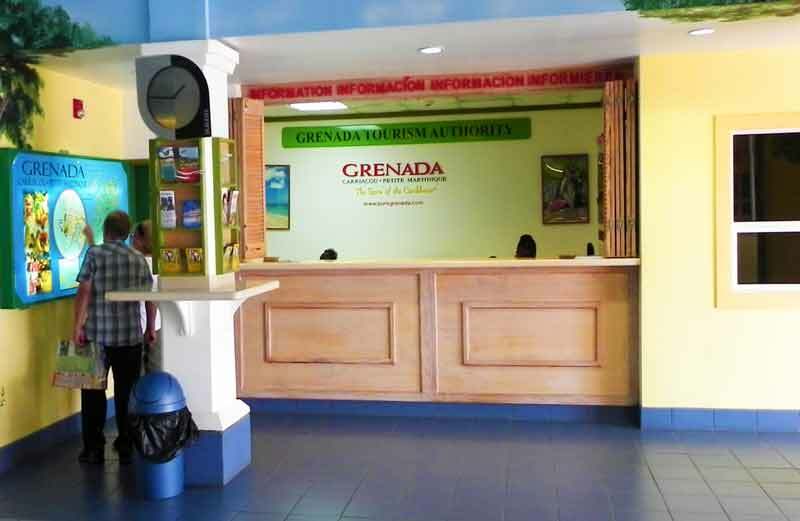 Besides restrooms, ATM, and Free Wi-Fi, the cruise traveler will find in the Terminal an excellent information kiosk of the Grenada Tourism Authority where you can get good maps and guides. 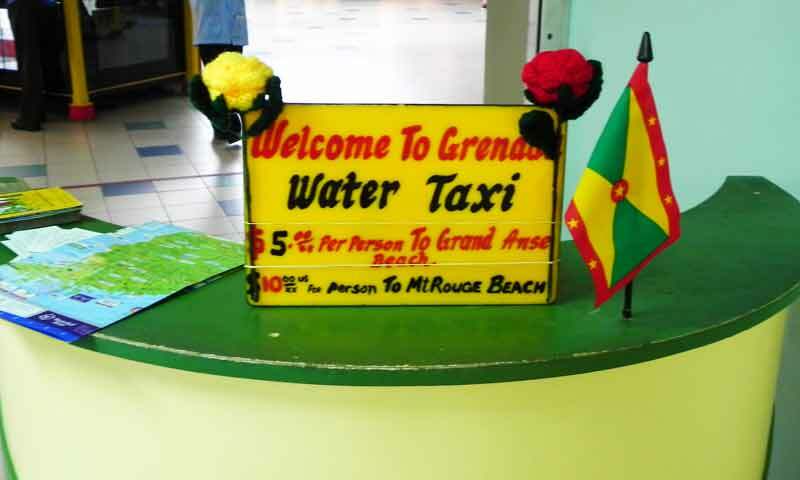 A few other kiosks can be helpful for those wishing to explore Grenada on Your Own: a kiosk selling the water taxi tickets, another with tickets for a scenic train ride of St. George and the official taxi dispatch kiosk with regulated fares. Part of the Terminal is occupied by the Esplanade Shopping Mall which, accordingly, has a profusion of shops. The majority of these are local souvenirs shops but also a few (less than a handful) of the typical duty-free stores that populate the Caribbean, such as Colombian Emeralds or Milano. Once outside the Terminal building, you will be on the main street of the historical St. George's downtown. The sightseeing train ride stop is on your left, which is a perfect way to discover the landmarks of this small, quaint and charming city. 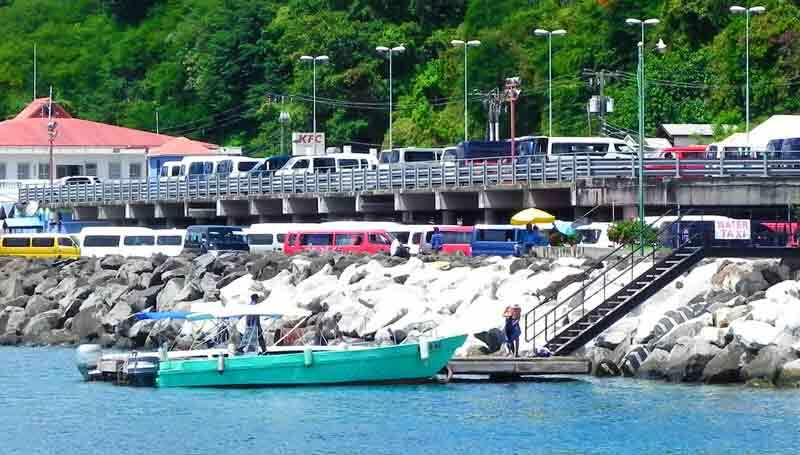 Also on the left side of the Terminal, no more than 100 yards (meters) farther away, the cruise traveler will find the Water Taxi with connections to Grande Anse Beach (considered one of the top 10 in the Caribbean) and Mount Rouge Beach. Both are stunning beaches not to be missed. Very close by, just a couple of blocks from the terminal, the cruise traveler will find the Fresh Market that many enjoy exploring and is a great place to enjoy a drink in the shade. 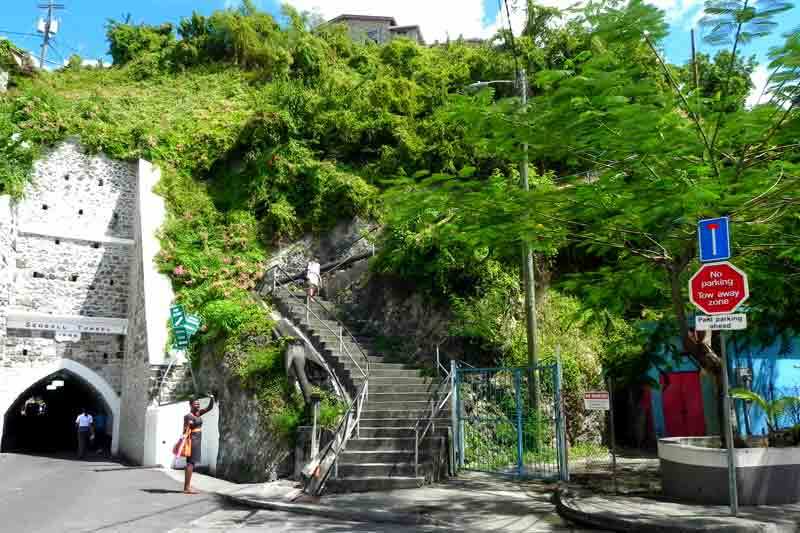 To the right, the main street will lead the cruise traveler to the steps that give access to the Fort George and next to these (on the left) the entrance to the Sendal Tunnel that connects this side of St. George to the beautiful natural harbor known as Carenage. Although it doesn't happen often if there are more than 2 vessels in port, cruise ships may anchor on the bay close to St. George. Cruise passengers will then be tendered to the Carenage. As already mentioned, this part of the historical town of St. George is connected to downtown by the Sendal tunnel. A word about the Sendal Tunnel. Many visitors feel intimidated to cross this tunnel as you will be sharing the road with cars and there isn't a protected sidewalk for pedestrians. 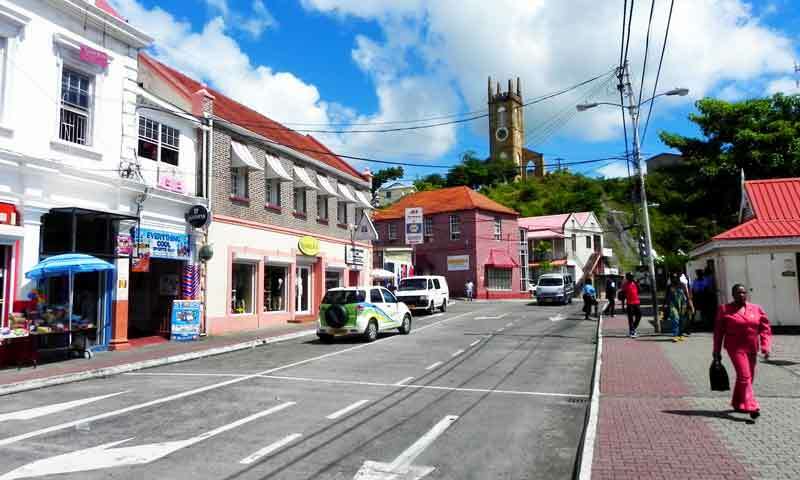 However, the locals trick that the Editor has always used is to walk facing the oncoming cars - have in mind that traffic in Grenada circulates on the left, like in Great Britain. 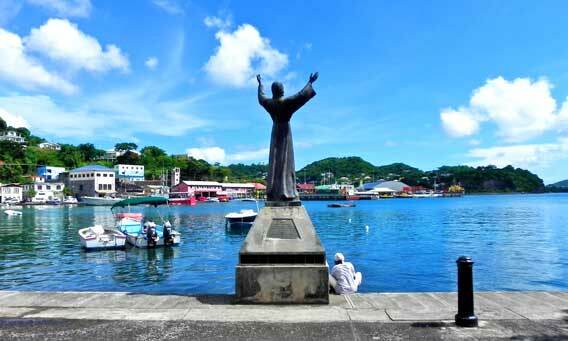 With very few exceptions, all cruise lines call at Grenada's St Georges Cruise Port. However, some cruise lines like Carnival, Crystal, Holland & America, NCL or Oceania only dock sporadically in Grenada either on re-positioning cruises or on an exceptional itinerary. 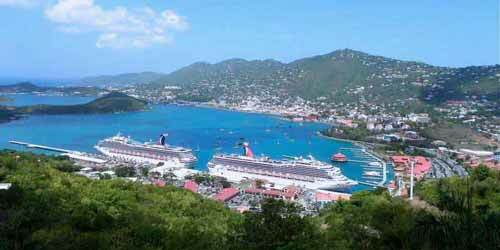 By contrast, some cruise lines dock regularly at Grenada usually between November and as late as April. Celebrity (with the Silhouette and the Summit), Royal Caribbean (Jewel Of The Seas and Serenade Of The Seas) and Princess regularly include Grenada in the South and/or Eastern Caribbean itineraries. And so do the British P&O Cruises and Marella, two German cruise lines (Aida and Mein Schiff), the two Italian cruise lines (Costa and MSC) and the Spanish Pullmantur. Less regularly but with quite a few calls every year, it should be noted that small ships of luxury cruise lines such as Royal Clipper, SeaDream, Windstar, Silversea, Seabourn, Ponant or Regent also include Grenada in their itineraries. Watch the Video by Pure Grenada - the Grenada Tourism Authority. English is the official language. However, a regional Patois influenced by a mix of English and French is spoken by locals. US dollars are widely accepted. The Eastern Caribbean dollar (EC$) is the local currency and you may get change in EC$. There are many in St. George. Standard American 120 V current. 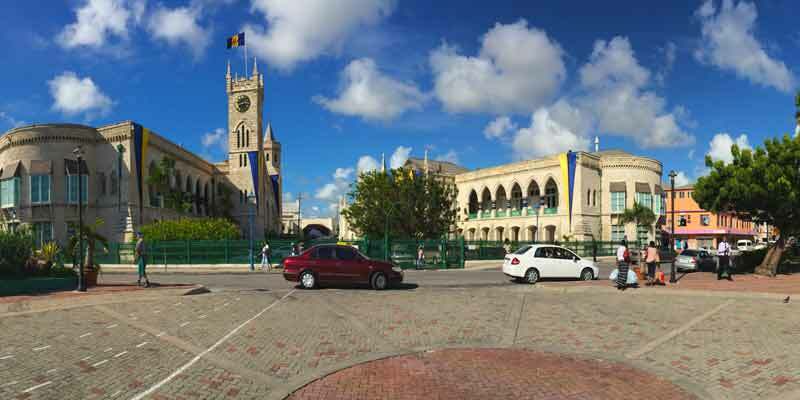 Barbados and its cruise port in Bridgetown is a spectacular destination in the Eastern Caribbean itineraries where travelers can enjoy diverse attractions: lush landscapes, beautiful landmarks and stunning beaches. 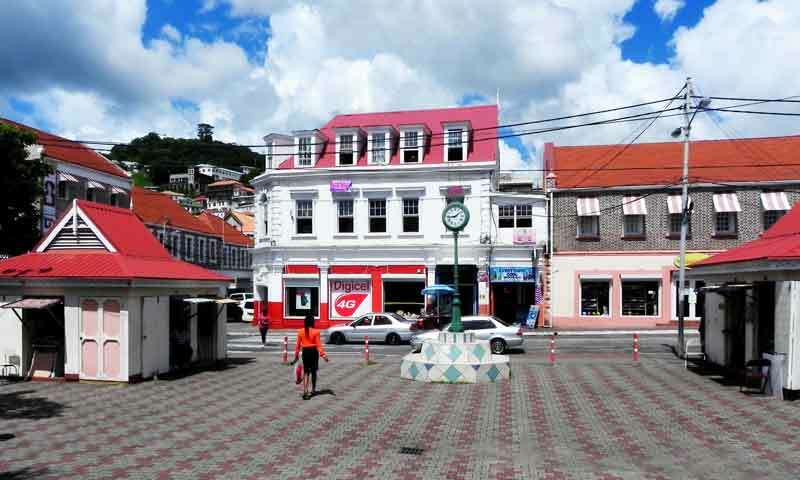 It must be noted that Historic Bridgetown is a UNESCO World Heritage Site. 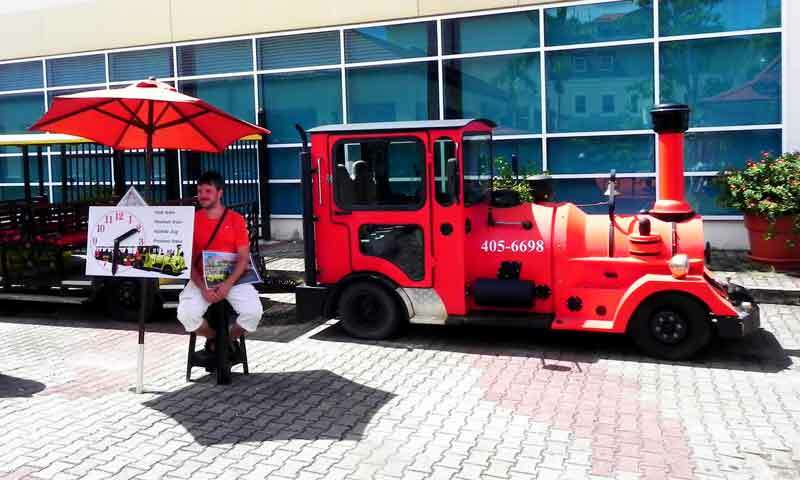 The natural beauty of St. Martin starts at Cruise Terminal, transportation to all top attractions is around the corner and affordable. Philipsburg's beach, shopping and restaurants shouldn't be missed. 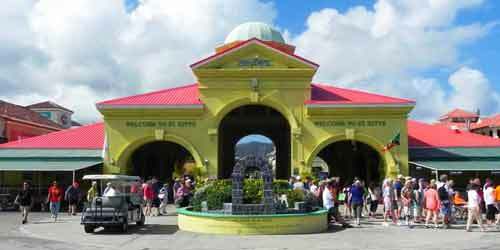 Antigua is one of the most popular destinations in the Eastern Caribbean cruise itineraries. The beaches of Antigua are as stunning as numerous, highlights like Nelson's Dockyard and Shirley Heights shouldn't be missed. There are very good reasons why this island is a love at first sight for most cruisers. Oranjestad – the capital and cruise port of Aruba – is a very neat city, clean, well kept and very well organized that from the moment you step out of the cruise ship embraces you with a sense of relaxed safety. Curaçao and its cruise port in Willemstad - the capital - have a rare charm, stunning colonial architecture, very comfortable to explore on your own as safety is something you don't need to be concerned with, impeccably clean and kept. It is advisable to confirm details with local tourist information before planning your cruise, tour or excursions of Grenada.